Baked, not fried, gluten-free, veagan. Those are not words that I use to describe a donut - (or is it doughnut?) but they are the exact words that describe Fonuts! A healthier, if not just an alternative, to donuts. I was actually surprised that the Chocolate hazelnut donut was very tasty! 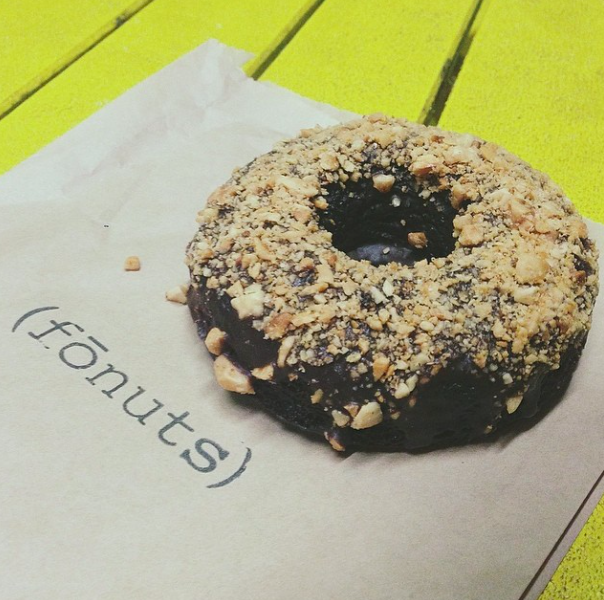 Baked and gluten-free, this donut had the texture of Devil’s food cake - light and airy. Since they’re not fried, feel free to have a dozen!